Nasreen Akhtar was born in Punjab, Pakistan and moved to England in 1978. At first she lived in Scotland and Yorkshire, where she worked with Kirklees Libraries for a short period of time. 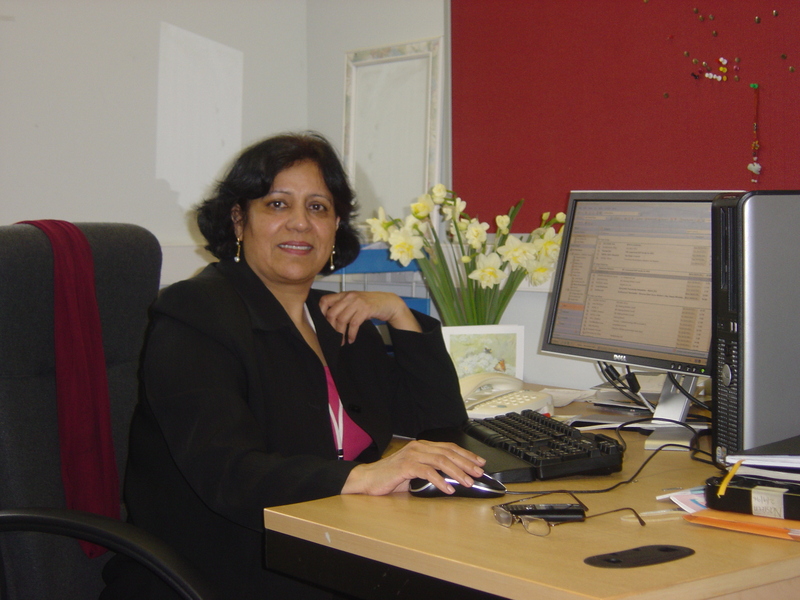 In 1984, Nasreen moved to Gloucester to take the job of Ethnic Services Librarian with Gloucestershire County Libraries and Information Service. 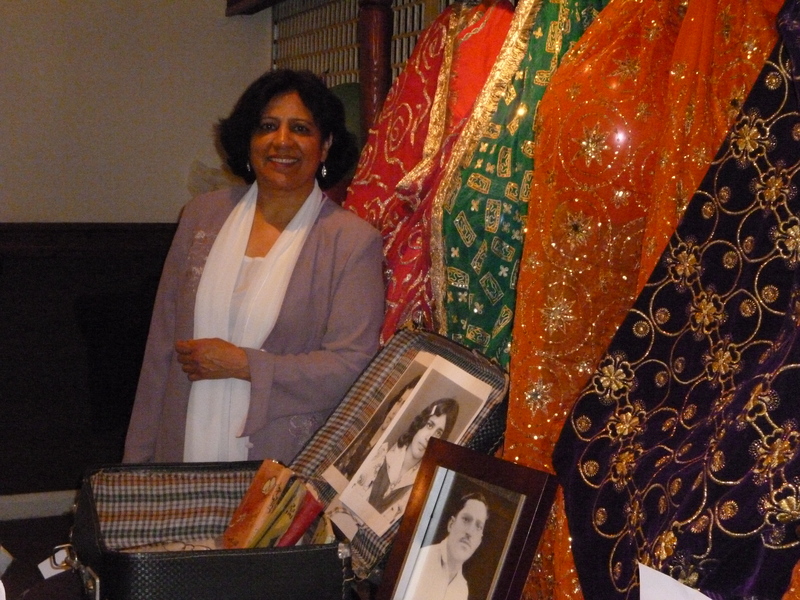 During her twenty eight years with the Library Service, she worked tirelessly to provide Gloucestershire’s ethnic communities with a wide range of library services. In 2007, Nasreen worked in conjunction with Gloucester City Museum and Art Gallery and the African-Caribbean community to deliver the Abolition 200 Project, which commemorated 200 years since the Slave Trade Abolition Act through a programme of debates, exhibitions and performances. In 2009, she worked with the City Museum again to put on the Discover Islam exhibition, which explored facets of the religion in order to help those of other faiths to understand Islam. Amongst her many distinctions, Nasreen was awarded the Chartered Institute of Library and Information Professionals (CILIP) Diversity Award for Personal Achievement, recognising her passionate and driven work for ethnic communities in the county. As well as working full time, Nasreen has co-ordinated many successful fund raising activities. In 2010 she organized dinners and street collections to aid the recovery from Pakistan’s floods. She has also worked to encourage integration and tolerance between all communities in Gloucestershire through the World Together Festival, which she organises every year in Gloucester Park to showcase a range of ethnic performances. 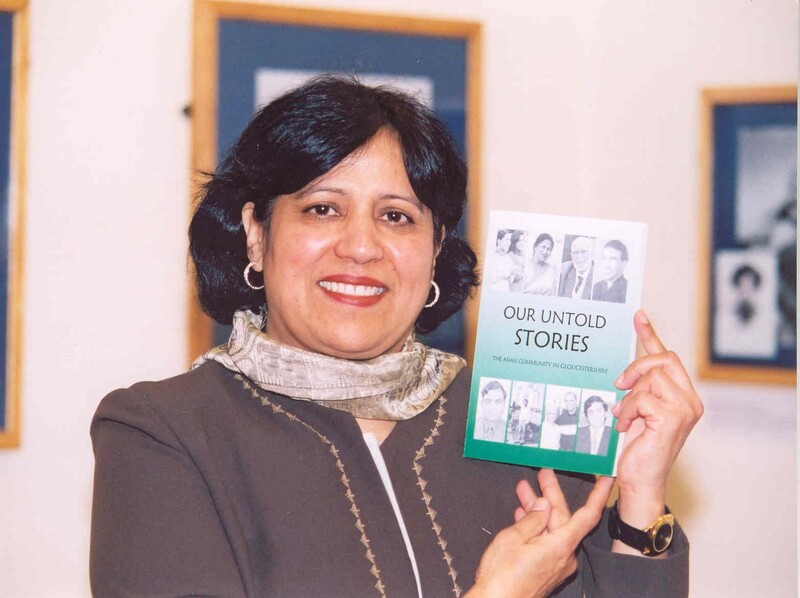 Nasreen’s first project, Our Untold Stories, was an award-winning oral history project which recorded the memories of first-generation immigrants to Gloucester. It focussed on three communities: the Chinese, the African-Carribean, and Asian communities. The four year project was the first of its kind in the South West and won many national awards, including the Lottery Monitor Excellence Award. It was initiated and led by Nasreen who enlisted the help of students and the unemployed who were trained to interview people in their communities. These interviews are available in full online on the BBC Gloucestershire website in both written and audio format. The original recordings and photographic material collected by the project are stored at Gloucestershire Archives and are available for members of the public to consult. As a result of the project, three books (one on each of the communities involved) were published. Sharing the knowledge gained from the project has been one of its major outcomes and the local education authority has made material from it accessible to all local schools by providing lesson plans for teachers. Nasreen is currently forging ahead with the second phase of this project, creating three further books recording the experiences of second generation immigrants from the same ethnic groups as Our Untold Stories. This project will explore their struggle for identity and integration into British society. Click on the video on the top right of this page to see a Digital Story about Nasreen’s life.